or at the finish line to tell her how proud she is of us..she carries this banner with her all the time (she actually gave us one of these but she brings her own just in case we forget to bring ours). One time I saw her assistant waving it at the race while the children were in the water. How could the children hear the cheer or see this banner? It didn’t matter to them I guess, the support is there regardless of who is looking or who can hear it…. 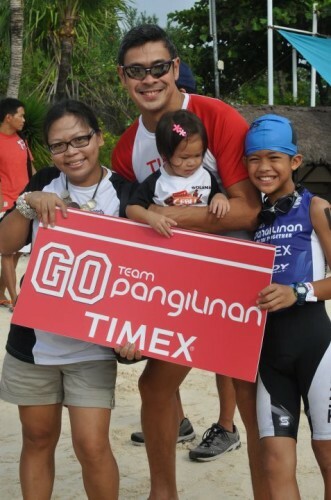 It was during our first 70.3 IronMan race that we were introduced to Gemma by Coach Rio dela Cruz. 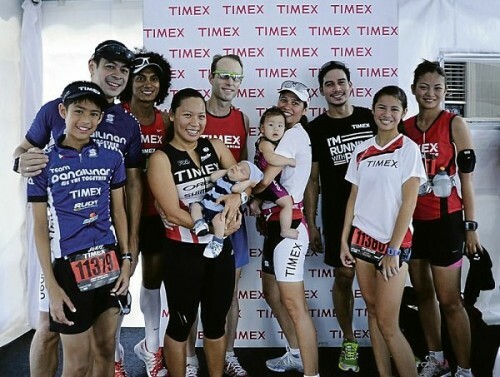 That meeting was the beginning of something big for both Timex and Team Pangilinan. 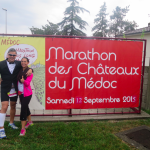 It helped establish us as a genuine team who then took our triathlon involvement seriously. We were inspired to dream for bigger races and better performance. Gemma made sure we were not only equipped with the best timepieces to complement our training and performance but she also made sure we were dressed like winners even if we haven’t proven ourselves worthy yet. It is not a joke to equip a team this way because it takes a lot of time and energy to get everything organized from the design that each one of us preferred, the sizes and each one’s needs as well. 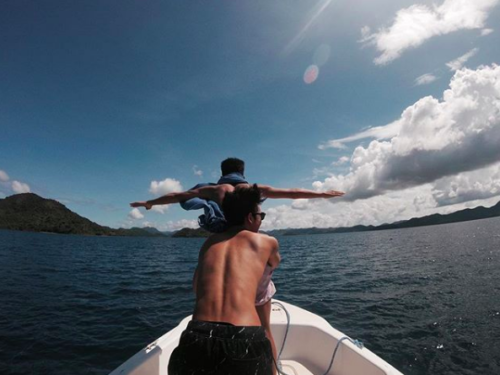 We soared and felt proud as she looked into the details of even the smallest things from our nutrition before, during and after the race, our accommodations,etc.that made our life as triathletes so comfortable and truly memorable. 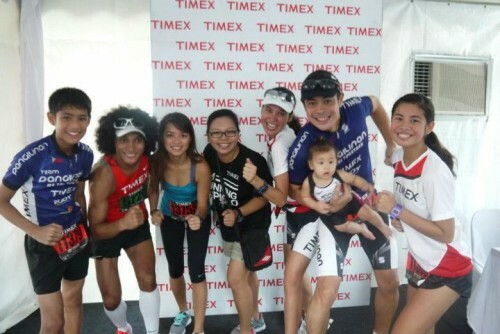 We are (Timex) Family! 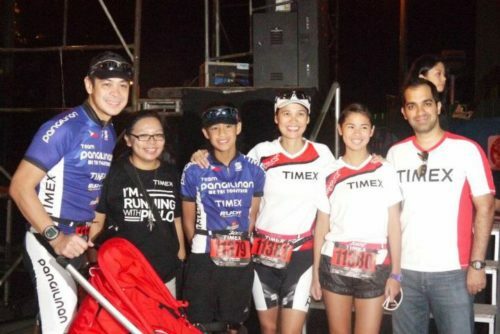 Team Pangilinan with Coach Rio, The Browns,Piolo P. and Miriam Q. 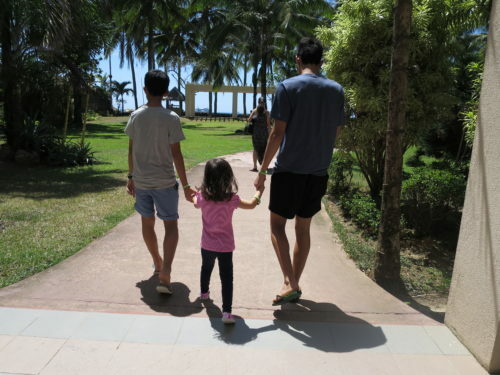 This year, we have been privileged to visit Cebu and Davao to rally people there to run as a family and get fit. What a wonderful way to even get to know Gemma more. 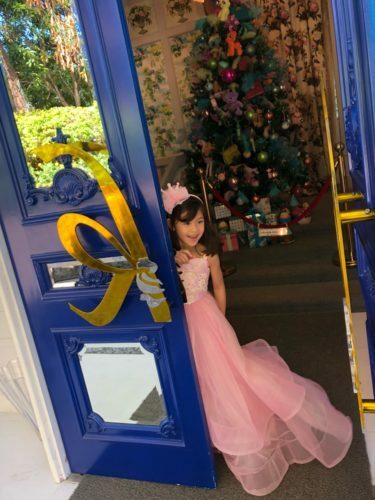 But then again, it has been quite sad learning about her decision to conquer new territories…. Here’s what I have to say: Boss Avi, Gemma has been your Timex Philippines’ awesome ambassador for pushing a great brand and representing your company with integrity and heart. 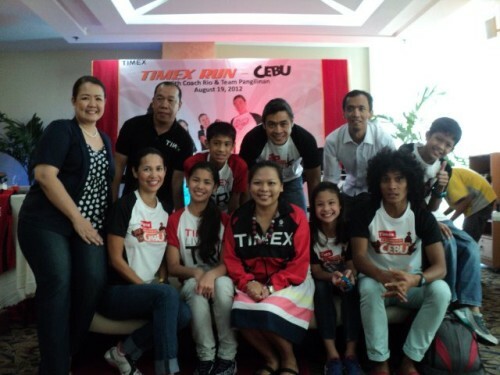 We thank you, Timex Philippines for the chance to be touched by Gemma. Thank you, Gemma for being a gem in our lives! We wish you well and see you soon!